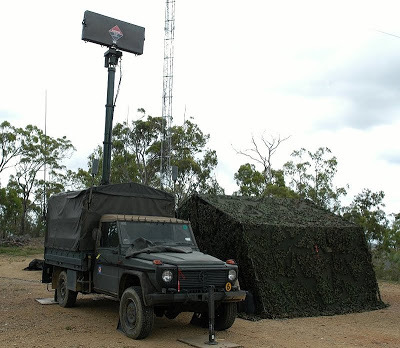 PSTAR or P-STAR (Portable Search and Target Acquisition Radar) is a portable battlefield radar operating in L-Band, which was originally developed for the U.S. Army and known as the Light/Special Division Interim Sensor (LSDIS) or AN/PPQ-2. It is man-portable and can be mounted on a High Mobility Multipurpose Wheeled Vehicle (HMMWV). The PSTAR is a compact, light weight radar that provides early warning/alerting and directional orientation to aid air defense weapon system gunners in acquiring and engaging hostile aircraft. It utilizes a rotating, planar, phased-array type antenna and a sunlight readable and remotable up to 100 m LCD-display. Lockheed Martin offers an updated version named PSTAR-ER (Extended Range) with enhanced maximum range up to 35 km.